I take this opportunity to observe that a concert can also be broadcast by radio or uploaded on youtube and in other ways. If you are physically present it is not essential for listening. As was pointed out in a previous thread this sort of notice is incomprehensible to the overwhelming majority of members who cannot read Russian. They are therefore extremely frustrating!! I must ask you please to either provide a translation accompanying the notice or cease posting such notices. It should not however be necessary for any member to translate another's posts for the membership at large. I note that this concert is being held in Sakha which is a republic in the far north east of Russia. I am quite happy transliterating Cyrillic (it's not difficult!) and see no reason why such posts should be discouraged. The moderators should not let their own limitations determine what is posted! Anyone n the UK (where many members seem to be located?) 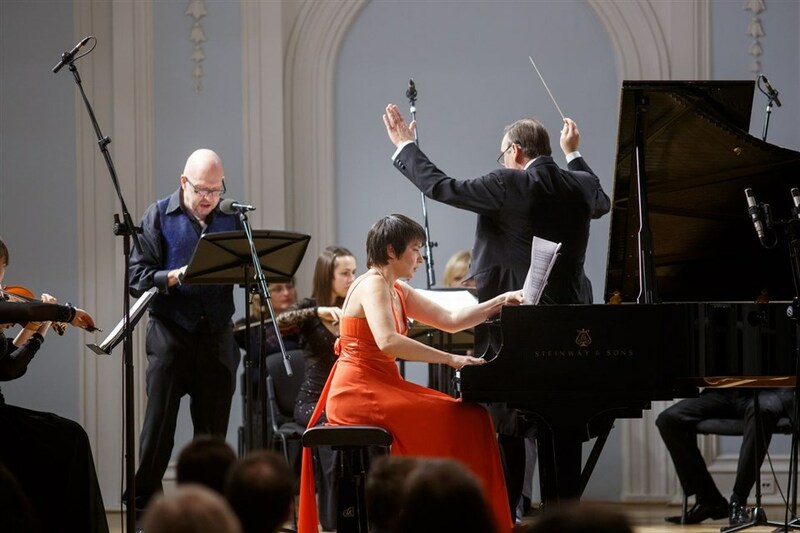 unable to make it to Yakutsk (the capital of the Sakha Republic) tomorrow might consider instead a jolly good concert planned at the Royal Festival Hall in London. Russo-German conductor Vladimir Jurowsky, and a largely E European/German cast, will be presenting DIE WALKURE, with the LPO (part of the leaving festivities for Jurowsky, who departs next season to take over as MD of the Bavarian State Opera in Munich - Europea's foremost opera theatre of the moment). Skelton is in top form, and considered the top Wagnerian tenor in the world, at present. Sozdateleva makes her Brunnhilde debut at last (she has previously sung Sieglinde in this opera), after her award-winning FIERY ANGEL with Jurowski last year. She will repeat FIERY ANGEL with Jurowski at The Met next year. "The moderators should not let their own limitations determine what is posted!" Do you appreciate how rude that observation sounds? Speaking personally (as Dundonnell) I acknowledge that I cannot read Cyrillic. I do not regard that as a "limitation". I am as capable as anybody else in translating it into English. However, this is an English language website. It is therefore the responsibility of the original poster to provide a translation. Members should not be required to do this for themselves if they cannot read the language in the initial post. It is my responsibility as a moderator to try to assist the membership as a whole. What I am asking is not unreasonable. To phrase your comment as you did is at best unfortunate and at worst offensive. Perfectly,reasonable,Dundonnell! Cyrillic looks very nice. I used to love it on those old Melodiya Lp's. But even they,usually,provided a translation. Thank you,Neil! The Administration's reply is absolutely reasonable. In short, people should know what it is they are posting, and provide a summary of what it's about if it is in a language that is not the language of this site. Otherwise people could post about simply anything, and the rest of us waste our time trying to find out if it is of interest. Did anyone get to Yakutsk by the way? How did they deal with today's temperature of minus 39 degrees?! What's very strange to me about this promotion is that no program seems to be on offer. That's even true if I visit the VK site or Filarmony.ru. All I know is that it is "English classics from various eras". I don't think I've seen too many orchestras offer a concert without a program posting like that. This means it will probably be "typical" programming IMHO. I've found that the current site translation tools in Chrome often provide "acceptable-ish" translation of any foreign language text, but of course they do not provide translations of the graphics. English is not only the language of this board, but for better or worse is the current world lingua franca. Thus English is probably the most common "alternate language" you will find on orchestra concert pages for this reason. So yes, I agree that providing an English translation is a major help here towards enhancing understanding of concert postings. What's very strange to me about this promotion is that no program seems to be on offer. I though it was rather touching that the Yakutsk public are prepared to turn out (the concert is this week, it hasn't happened yet) to listen to music by the Saintly Sir Edward. 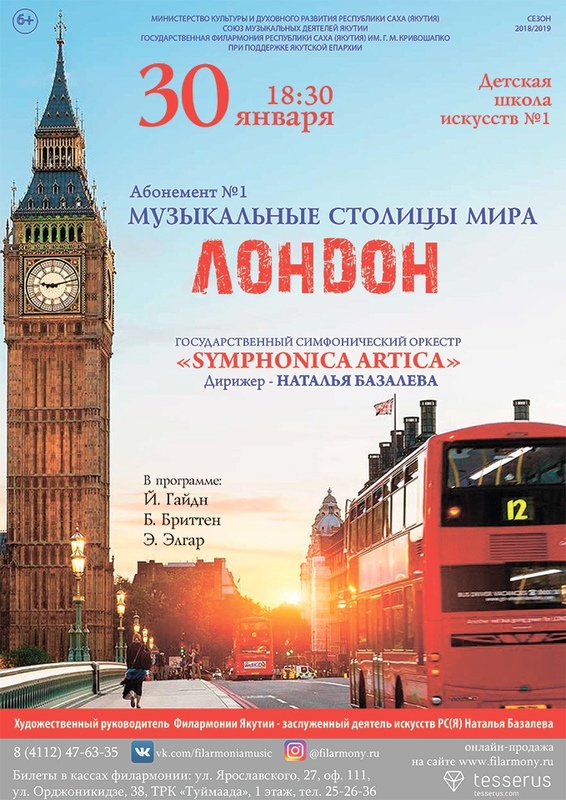 I wonder how many Londonders would pitch up to hear music by Sakha composers? Probably none. I am grateful to the members who have responded to my post as an administrator. I should just say that Latvian (Maris), my co-administrator, has serious family issues at present and is not able to visit the forum as often as he would wish. I take my responsibilities seriously (as the membership would expect and indeed require of me). These involve giving consideration to the protection and to the interests of the membership as a whole. We all appreciate the enthusiasm and commitment of those members who open threads and who post in threads. The last thing I want to do is to curb or restrict such commitment. It is obvious however that members wish to know what is being posted. That is the reason for politely requesting that notices be posted in English or that the poster provides a translation. Men lavozimga ma'mur sifatida javob bergan a'zolar uchun minnatdorman. Men shuni ayta olamanki, mening hamkorim Latviya (Maris) hozirgi kunda oilaviy muammolarga qaramay, forumga o'zi xohlagancha tashrif buyura olmaydi. Men mas'uliyatni jiddiy qabul qilyapman (a'zolikni kutishim va, albatta, men uchun talab qilinadi). Bular, umuman, a'zoning a'zoligini himoya qilish va manfaatlarini hisobga olishni o'z ichiga oladi. Biz hammamiz ish mavzusini ochadigan va ish joylarida ishlovchi a'zolarning g'ayrati va sadoqatini qadrlaymiz. Eng asosiy narsa - bunday majburiyatni cheklash yoki cheklash. Biroq, a'zolar nima e'lon qilinishini bilishni istashadi. Bu shuni anglatadiki, ogohlantirishlar ingliz tilida chop etilishi yoki afishada tarjimani taqdim etishi talab etiladi. I am grateful for the members who have responded to the promotion as an administrator. I can say that my partner, Maris, can not visit the forum anyway regardless of family problems. I take the responsibility seriously (waiting for membership and of course, it is necessary for me). These include, in general, the protection and interests of the members of the Council. We value the enthusiasm and commitment of all members of the business community who open the business and work in the workplace. The most important thing is to limit or limit such liability. However, members want to know what is being announced. This means that the warnings must be published in English or in a poster translation.